It’s not every Friday you find yourself in Downing Street shaking hands with the Chancellor George Osborne – but that’s just what Print Evangelist Yvonne Gorman was doing on the eve of the UK’s first-ever Small Business Saturday. 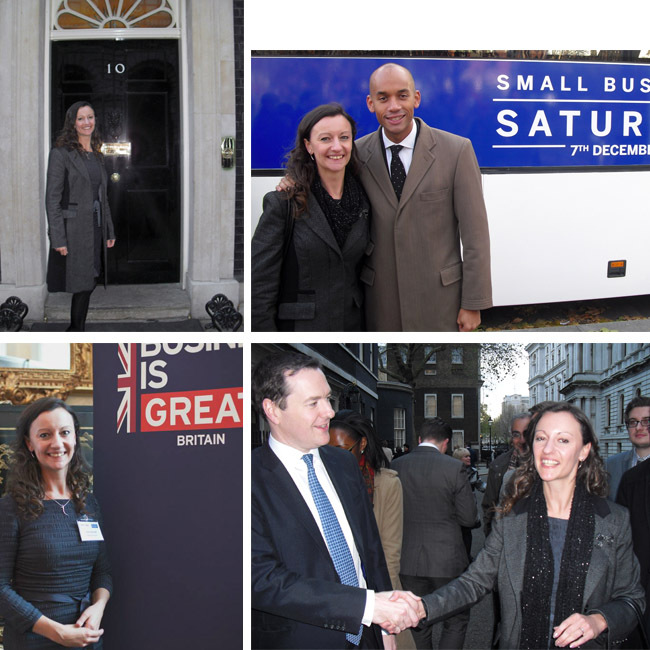 Yvonne was invited to a Downing Street reception after featuring on the Small Business Saturday Facebook Page. The initiative was championed by Chuka Umunna, Shadow Secretary of State for Business, Innovation and Skills, after he saw it working brilliantly in America through encouraging people to spend money with smaller companies. 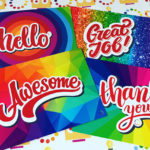 Yvonne enjoyed chatting to the other businesses that attended about how business networking and social media have helped her to grow Essential Print Services since she launched in 2011. Yvonne said: “I am delighted that I’ve been able to create two jobs so far – and I’ll soon be recruiting a third team member. “I predict that 2014’s Small Business Saturday will be bigger and better than ever – so if YOUR company would like to do something special next year – we’d love to help.